What better way to embrace the Cypriot culture than with a tasty immersion into its rich and unique cuisine? The cuisine of Cyprus is an interesting blend of Greek, Middle East and Italian influence, reflecting the turbulent history of the island. It uses tasty local ingredients, herbs and olive oil, pulses and freshly grown fruits and vegetables, with the characteristic qualities of the Mediterranean diet that is considered one of the healthiest in the world. 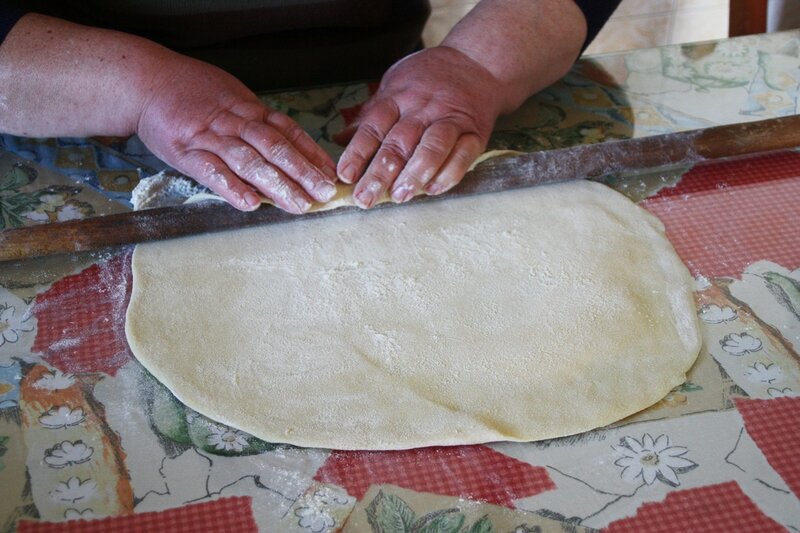 At Aperanti, we offer a wide range of gastronomic tours that will give you the opportunity to learn traditional specialties of the Cypriot gastronomy & to enjoy the intense flavor of a home-cooked meal. You also have the possibility to visit our field and directly connect with the products of our land, to learn about organic agriculture and traditional halloumi cheese making. For our recipes we use as much as possible our own products (cheese, olives, olive oil) and vegetables & fruits organically grown in our field. We purchase free range eggs from local producers and other ingredients from local markets. The cooking activities we offer range from half a day hands-on cooking lessons to 4-6 days gastronomic holiday packages that also include outdoor activities, such as fruit &vegetable collection, olives harvesting & olive oil production, visit of local wineries & wine tasting and visit to the organic farm. If you are on holidays in Cyprus but you do not have enough time for a full culinary vacation, our half-a day cooking class is the perfect choice to give you an introduction to the Cypriot cuisine . 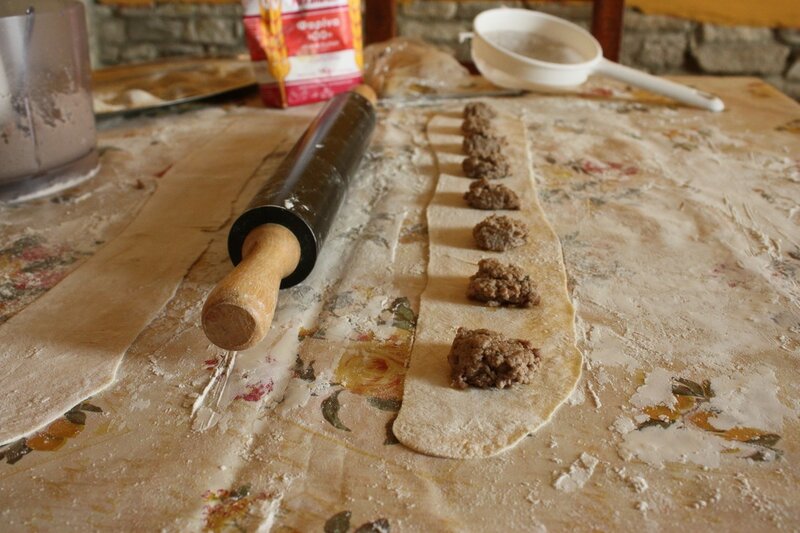 It is a 2-3 hours hands-on experience during which you will embrace the gastronomy of Cyprus by learning a traditional recipe (such as home-made ravioli or stuffed vine leaves "koupepia"). You will then enjoy the dish you have created accompanied with a fresh salad and a glass of local wine. ​A half-a day unique experience to learn how Cypriot halloumi cheese is made using the traditional method. 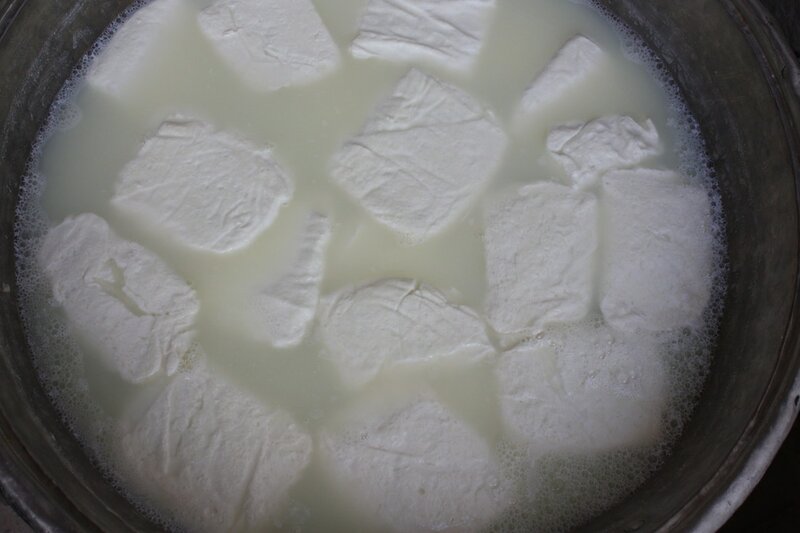 Anari cheese (similar to ricotta) is also produced as a by-product. We only use goat & sheep milk, following the traditional recipe and the hand-made procedure that has been passed to Maroulla's family from generation to generation. You will be able to assist Maroulla in some of the steps and to try the freshly-made cheeses as soon as they are out of the pot ! 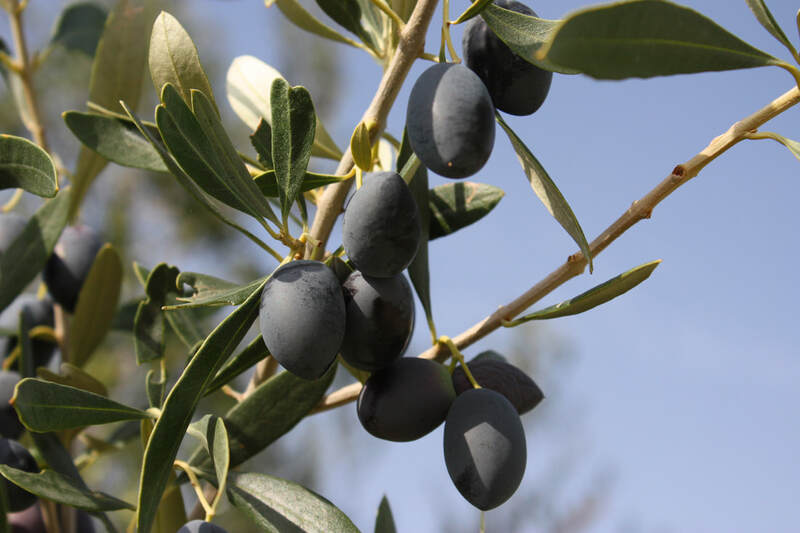 Late autumn/early winter is the time our olives are ready to be picked. Join us for a half a day activity to learn how to make olive oil & olive products. We will collect olives from the trees in our field, take them to the local press to make fresh fragrant olive oil and have a light pic-nic in nature tasting the fresh olive oil, olives in brine, olive pies and fresh vegetables. You will also learn how to preserve olives in brine or salt. Bring home a little bottle of the olive oil we made together ! The perfect package to fully embrace the gastronomy of Cyprus. A full immersion in the Cypriot culinary experience with a touch of Italian flavor. You will experience the traditional halloumi cheese making, learn how to make traditional Cypriot dishes as well as creative recipes, collect fruits from our trees, taste Cypriot wine at the local winery, enjoy a Cypriot Meze at the local tavern and visit the nearby organic farm. This is the perfect gastronomic holiday package for those who would like to discover flavors & dishes from different areas of Cyprus and to take part in the agricultural activities with locals. Explore the Pera Oreinis countryside and the Troodos Mountains, two stunning locations of unique natural beauty and enjoy their culinary specialties & traditional products. * These prices apply only for Aperanti s guests. If you are an external visitor please contact us for a quotation.